Broken Arrow Soccer Club believes that maintaining soccer goal safety is a high priority! Please remember that all goals must be staked for every use whether it's practice or games! 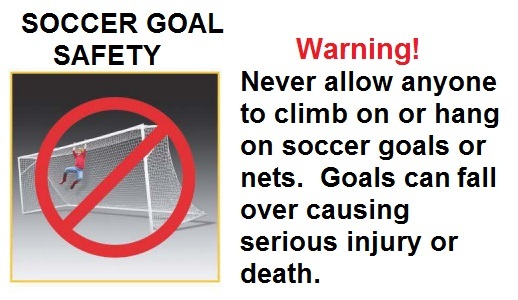 Never-ever allow anyone to climb, swing, play or hang on soccer goals or nets. Goals can fall over causing serious injury or death .